From The New Atlantis. August 11, 2013. Let’s break it down." A man and a woman in a darkened classroom, flirting, are taking an elemental inventory of the human body. Hydrogen, oxygen, and carbon alone come to 98 percent, nitrogen and calcium tick up to 99.5, and half a dozen more trace elements only bring them to 99.888042 — where is the other 0.111958? Supposedly that’s everything, the woman insists, but the man is sure there must be something missing. "There’s got to be more to a human being than that." What about the soul, the woman suggests? "Ha, there’s no soul. There’s just chemistry here." This calculation is overcut with a montage of the same man, twenty-odd years later, cleaning up after the "chemical disincorporation" of his inaugural murder victim (the first of a long line). The victim’s soul, if there ever was one, is long since departed, leaving gallons of bloody slosh behind, while the killer’s soul, if he ever had one, has just crossed a threshold of its own. All of us are uneasily aware that beneath the good civilizational order in which most readers of these pages and viewers of the show continue to live their lives there is a dark alternative where old rules dominate, the Enlightenment’s recurring bad dream just waiting for the opportunity to reassert itself. Ironically, it is Walt’s Enlightenment credentials as a man of science that are his entrance ticket to this new state of nature. Chemistry, as Walt rapturously tells his less-than-rapt students, is a cycle of "growth, then decay, then transformation"; and while Enlightenment notions of moral progress are implicitly connected to material progress in the advance of science and rationality, the lesson of the science itself is that moral and social transformation is as likely to be cyclical as it is progressive. Students of history or anthropology are more likely to see the alternative to Western civilization and the rule of law not as the twilight struggle of individual savagery but as the tribal, family- oriented society and the honor culture that actually did precede the Enlightenment’s commitment to universal values and that is still predominant in most parts of the world where those liberal and progressive standards have a more precarious hold. Some of the best television of the last decade or so has explored the tension between Enlightenment liberal modernity and pre-Enlightenment honor culture. The Sopranos treated it playfully, imagining the criminal classes as aspiring to suburban respectability while still hoping to inhabit, out of sight of their New Jersey neighbors, the same Sicilian underworld where their fathers and grandfathers had lived. The sense of the threat posed by that underworld to the dominant culture was less in mind than the threat — or promise — that the dominant culture, with its therapeutic and liberal standards, would swamp the already evanescent honor culture of the Mafia. In The Wire, the state of nature was also circumscribed and limited to the streets of Baltimore where the dominant culture with sometimes greater and sometimes less success has managed to contain it by its own legally dubious methods. But in Breaking Bad, the state of pre- Enlightenment nature is seen as thrusting its way up from its subterranean hiding places and reasserting itself anew. Under "Kill Him" there is just one entry: "He’ll kill your entire family if you let him go." It is presumably the remains of Walt’s self-respect as a decent, law-abiding citizen of an enlightened country that force him to weigh what he regards as the certainty of his family’s murder more or less equally against the moral tenets to which he still feels the necessity to think himself bound. Yet we are also meant to suppose that he would actually have "let him live," but that, at the last minute before releasing him, he finds incontrovertible evidence that Krazy-8’s friendly and anodyne conversation has been only a cover for the fact that he is awaiting this opportunity to kill Walt. The key objection on the "Let Him Live" side of the ledger is "You are not a murderer," and Walt’s need to think well of himself becomes something of a running joke in the series. Thus, as he strangles Krazy-8 with the bike lock he keeps saying: "I’m sorry; I’m so sorry." In Season Three, we find Walt saying to his sleazy lawyer, Saul Goodman (the effervescent Bob Odenkirk), "I can’t be the bad guy." 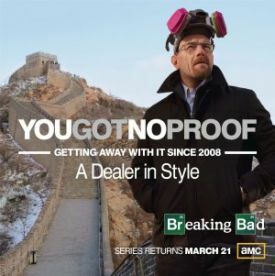 Later in the series, however, while Walt still has to maintain a façade of conventional morality to mask his criminal activities from the community, his increasing pride in his role as a drug- empire-building mastermind leads him to abandon any genuine scruples regarding his lawlessness. By the middle of Season Four, he tells his wife Skyler (Anna Gunn), who is frantic with worry that he might be in danger from violent criminal associates who will one day come knocking on their door: "I am not in danger, Skyler. I am the danger. A guy opens his door and gets shot, and you think that of me? No. I am the one who knocks." 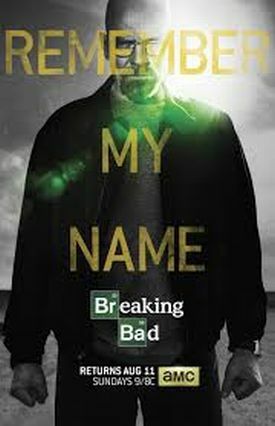 Some critics have argued that Walt’s apparent descent into evil is something of an illusion; as Scott Meslow of The Atlantic website writes, "The Big Secret of Breaking Bad [is that] Walter White was always a Bad Guy." The point of inflection between Walt’s civilized and frontier selves is his glorification of autonomy — an ideal that, in the world of Enlightened civilization is formally constructed from choices and consent, but in the world of the frontier, devolves into raw power. Either might be aptly described by Walt’s pronouncement to a fellow patient, "Never give up control; live life on your own terms." As the patient points out, this is something of an illusion: "cancer is cancer," after all. "The hell with your cancer," Walt snaps. "Right from the start it’s a death sentence. That’s what they keep telling me. Well, guess what? Every life comes with a death sentence.... but until then, who’s in charge? Me! That’s how I live my life." Control is so important to Walt that initially he rejects treatment, feeling that he’s being pressured into it while the outcome will be the same regardless. "What I want," he plaintively tells his family, "what I need — is a choice." Eventually, however, he bows to pressure and the cancer implausibly goes into remission, liberating him from what seemed like certain doom to live entirely by his own lights. When his son, upset and baffled by changes at home, is given the explanation that Walt suffers from a gambling addiction, Walt rejects this medical determinism even as an exoneration from his weird behavior: "What is going on with me is not about some disease. It’s about choices. Choices I have made. Choices I stand by." Such detachment from the consequences of their actions threatens at times to become an excuse for the series to emulate the less serious manifestations of popular culture by treating crime as fun and criminals as heroes, but we are never very far away from some new reminder of its tragic, real-world consequences, as when children become innocent (or not so innocent) victims. Apart from Hank and his fellow DEA agents, the points of Walt’s contact with the world outside the drug trade are mostly limited to those for whom it might as well be taking place in another country — as, in some episodes set in Mexico, it is. For the show to produce the effects it does, it has to keep always before our eyes Walt’s continued existence in the workaday, bourgeois world which the show’s audience may also be presumed to inhabit. Thus Jesse almost never calls Walt anything but "Mr. White," as if Jesse still sat in the back row of his high school chemistry class and was jerked awake on being called on unexpectedly. In the midst of all his forays into the primitive honor culture of the criminal underworld, Walt remains at heart a man of science. And it is indeed Walt’s scientific knowledge and skill as a chemist that enable him to succeed so prodigiously in his new life of crime. Even as an untutored amateur in the violent ways of the drug trade, Walt proves adept at transforming knowledge into power. As early as the first episode, when he and Jesse are being forced at gunpoint to cook meth for a pair of small-time thugs, Walt manages to use the chemicals he is working with to create a deadly cloud of phosphine gas that incapacitates his captors. 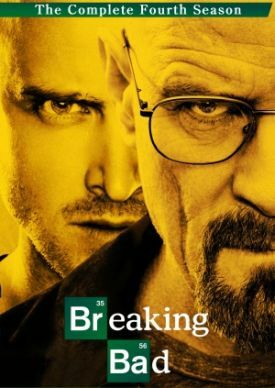 A few episodes later, Walt intimidates and impresses a mid-level drug boss by detonating a small crystal of fulminated mercury, saying it was just "a little tweak of chemistry." More than once he neatly — or not so neatly — disposes of the bodies of his or others’ victims using hydrofluoric acid, and twice in the series Walt synthesizes the lethal toxin ricin to assassinate adversaries. Although his ricin schemes do not actually work out, he does manage to eliminate his chief rival at the end of Season Four using a cleverly improvised homemade explosive. 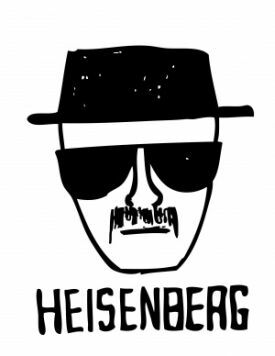 And of course there is his trademark "Blue Sky" meth, the blue-tinged product that earns Walt his fortune, and also his fame as the notorious Heisenberg — the criminal alias inspired by science that Walt uses for himself throughout the series. Even though Walt’s scientific knowledge and skill are enough for him eventually to dominate the criminal world, there are hints that this pragmatic success is not enough to satisfy him. During Season Three, Walt reflects on how he has been unable to make his wife "understand" why he has done what he has done, recognizing that he wants his family to miss him when he is gone, and that the wealth he is amassing only made sense as a way to provide security for them. Acknowledging that he wants to be remembered well by his wife and children, he even imagines that "there must exist certain words in a certain specific order" that could explain his criminality to Skyler — some scientifically valid proof that would justify him before his family and secure their love, respect, and esteem. He does not seem to recognize that there is no formula for understanding between people, and still less for love. Here Gus, who appears to have no family of his own, makes explicit what has been implicit in the series from the beginning: that there is a point at which even ordinarily decent civilized men, qua men, can be made to revert to their traditional role in tribal, patriarchal society, a role which everything in our culture for two generations has been geared to representing to us as hopelessly outmoded and obsolete. That role is bound up with an equally obsolete consciousness that the only thing that really matters, or ought to matter to a man, is the honor of his manhood — something that expresses itself in the ability to "provide" for one’s family as well as to brave and overcome the dangers posed to that family by one’s enemies and rivals without recourse to the law. "Is that supposed to justify stealing?" asks Skyler. "What would you do if it were me?" asks Walt boldly. "Would you divorce me? Would you turn me in to the police?" "You don’t want to find out," she says to him, as if teasingly. But of course he does find out. She decides to initiate divorce proceedings but, crucially, not to turn him in to the police — or to Hank, who has learned to wink at his wife’s "addiction," as he professes to see it, to thievery. Skyler, therefore, at first takes a high moral line regarding Walt’s material solicitude for her and her children — by rejecting, in effect, the bride price of money he is now able to offer her. Yet, like Walt himself but in reverse, she wants to reserve to herself a bit of the alternative to the life she feels forced to choose. Her unreconstructed sense of what is due to wifely loyalty prevents her from reporting Walt to the authorities, and gradually she finds herself learning to accept a part, and eventually a partnership, in his criminal life for the sake of the financial security it offers the family. Skyler is helped to this acceptance by a defiant affair with her boss, Ted Beneke (Christopher Cousins). She hopes that the affair will force Walt to agree to a divorce, but in any such situation she has to be aware of the contrast between the two men, and to look to Ted for the moral principle she has found lacking in Walt. Instead, she finds that Ted has been cooking not crystal meth but the books at his failing business and is in serious tax trouble likely to result in his being sent to jail. When Ted attempts to justify his actions by appealing to his own family obligations, Skyler must begin to feel, as Walt does, that there is no escape from the life of crime. Soon she has joined with Walt in running an elaborate money-laundering scheme through a carwash — which she herself comes up with the underhanded means of acquiring. Skyler also invents the serviceable lie of Walt’s fake gambling addiction to explain to Hank and Marie how the Whites have come by their recent good fortune. Impressed by her quick thinking, Walt asks, "How did you come up with that?" "I learned from the best," Skyler replies. She is also learning to value the money for what it enables her to do for the family. When Hank is seriously wounded by a couple of drug cartel killers, Skyler is able to pay for his expensive rehabilitation out of Walt’s supposed gambling winnings. By a further irony, the leisure afforded Hank by his months in bed enables him to pursue a private obsession with the capture of the mysterious drug boss known as Heisenberg without realizing that Heisenberg is his brother-in- law — until the cliffhanger that ends the first half of Season Five. Insofar as the first fifty-four episodes of the series have followed Skyler’s conversion from law-abiding wife and mother in a modern, partnership-style marriage to a subservient criminal consort, an inevitable theme of the final eight episodes must be Hank’s forced response to the sudden discovery of his own unavoidable conflict of heartfelt loyalties, those to the family versus those to society and the law. 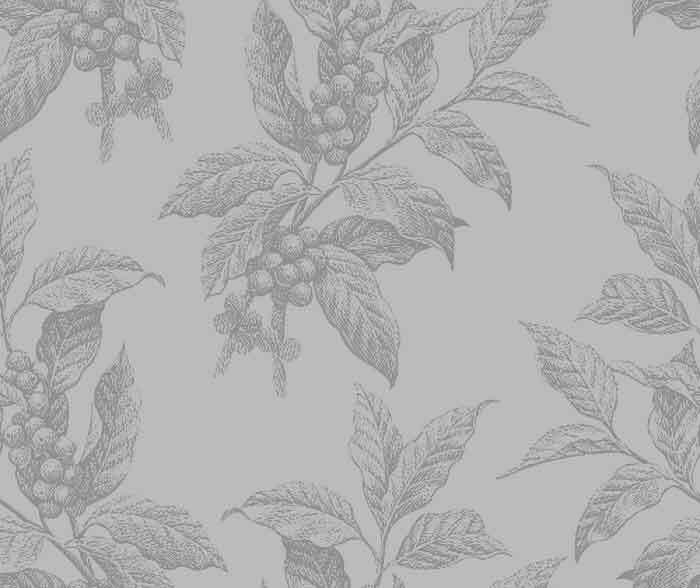 It is a strange poem for Gale, who says "I love the lab," to cherish, since it sounds a note of something more than skepticism about science. 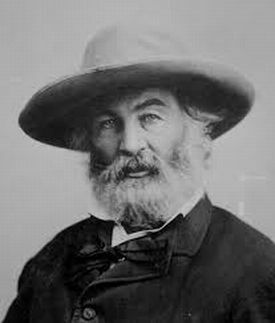 If anything, Whitman hints at the mysteries of the infinite that so often stymie the scientific mind’s attempts at description. Those with friends or loved ones who are suffering from addiction may get an idea how to help by reading reviews and ratings of White Sands Treatment Center and other similar facilities.